America’s finest silver is displayed in all its glory with the 1998 American Eagle Silver Dollar. Every year savvy buyers stash these away. Each is struck in one ounce of 99.9% fine silver and is in near-flawless Proof-69 condition. Grading service varies. 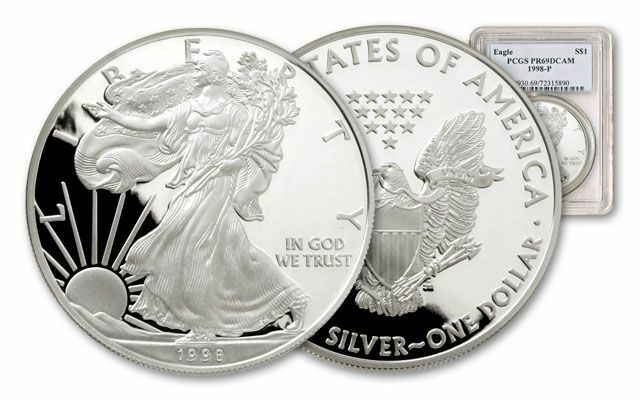 Silver Eagles minted in 1998 were produced during a year that saw the price of silver shoot up to a high of $7.81 per ounce in February, only to drop precipitously to $4.69 per ounce by December. By year's end, the U.S. Mint had sold nearly 5 million 1998 Silver Eagle bullion coins and 450,000 1998 Proof Silver Eagles. The 1998 Silver Eagle bullion coin features the series' beautiful "Walking Liberty" design, an image inspired by the original art on the "Walking Liberty" half dollar, which was minted in the U.S. from 1917 to 1947. The reverse face on the Silver Eagle shows a bald eagle bearing a shield and carrying a sheaf of arrows and an olive branch, with "E PLURIBUS UNUM" ("Out of many, one") inscribed on a banner held by its beak. In the solid field above its head are 13 stars, representing the original 13 colonies. 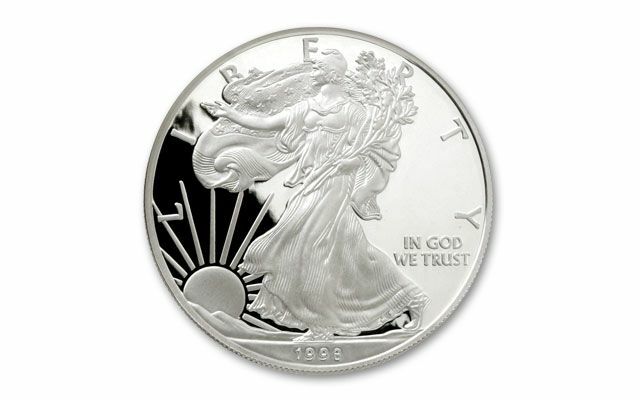 As in previous years, the U.S. Mint also offered a Silver Eagle proof coin. 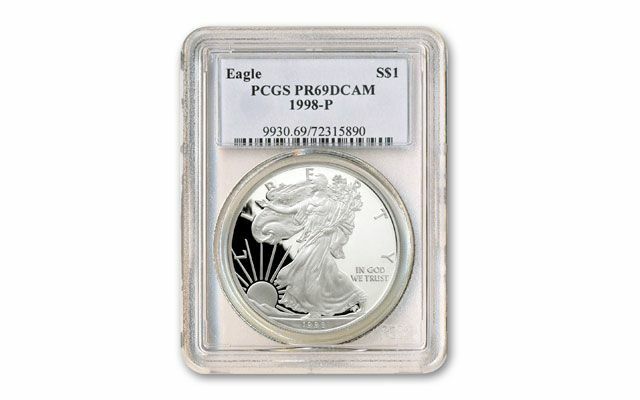 The 1998 Proof Silver Eagle features a highly polished mirror-like background with frosted (cameo) raised relief. Struck in Philadelphia, it carries a "P" mint mark. American Silver Eagle coins are legal tender in the U.S. As the official silver bullion of the United States, Silver Eagles may be deposited in Individual Retirement Accounts (IRAs). 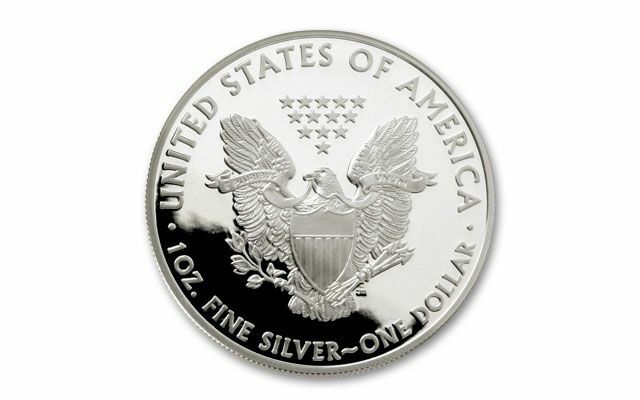 Silver Eagles are the only silver bullion coins whose weight, purity and content are guaranteed by the Government of the United States. The overall average price of silver during 1998 was $5.22 per ounce.